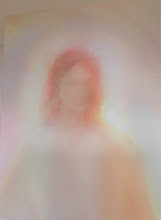 One of the most dramatic experiences I have ever had with Reiki healing came about when I was playing tennis. I had been watching the tennis finals on TV and I was playing like a pro. I was playing against a very fit friend who had ten years and two foot in reach on me, and it was my absolute pleasure to get to and return the many winning shots she smashed down the sidelines. I was running at full stretch as fast as I could, holding nothing back, reaching for the impossible return and just when I thought I had it, my ankle gave way! It didn't just fold gently under me, it made the loudest CRACK!! The sound was so loud that it stopped play on the other courts and everybody gathered around to see what had happened and to offer advice and support. I fell to the ground like a stone, the pain was incredible and I thought to myself "I have broken my ankle"! I have practiced Reiki for a number of years and I knew exactly how powerful it can be when applied immediately to an injury. I lay on the ground and despite people wanting to carry me inside, I refused to move. I immediately curled my body around so I could reach my ankle, without moving it, and gently placed my Reiki hands on it and The pain intensified! I knew this was the normal reaction with a new injury and ignored the pain. My tennis partner was also a Reiki channel and she went to get ice. There was no ice, so she placed a face washer wet with cold water under her Reiki hands as she gently applied them to the vicinity of my ankle. I could feel the Reiki energies flowing powerfuly to my ankle and the ebb and flow of the pain andafter about 20 minutes the pain finally subsided. I Walked away! I did not limp! There was no pain! I never got a bruise! There was no swelling! This experience had quite a profound effect on the other tennis players as they could not believe that it was possible to walk away from such an injury. I asked myself whyI had hurt my ankle, what was going on in my life that prompted me to injure myself in such a way? I then realised that I was rushing around a lot in my life; and that very afternoon I was forcing myself to go and see a woman who I didn't want to see, I really didn't want to go. I wasn't listening to my intuition, and I wasn't taking care of my need to let go and relax. When I realized this, I affirmed to myself that I would listen to my inner self more carefully and I would no longer go against my inner knowing. I believe that this was an intergral part of my overall healing process. I noticed a huge boost to my creativity immediately after I was first attuned to Reiki, twenty years ago. 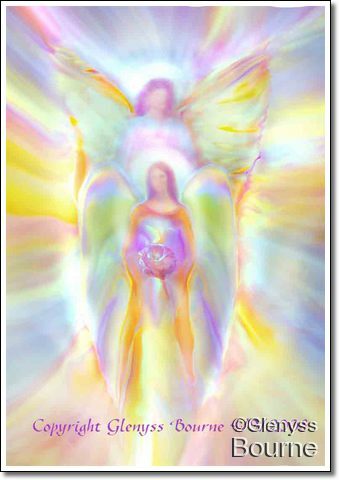 When I became a Reiki Master I began to receive divine guidance in the form of paintings of Angels, an Angelic Guidance book and also music. 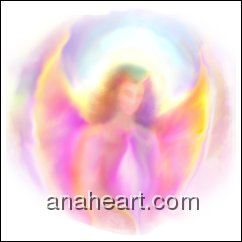 This Inspirational Visual and Sound Meditation was inspired by my Angels. 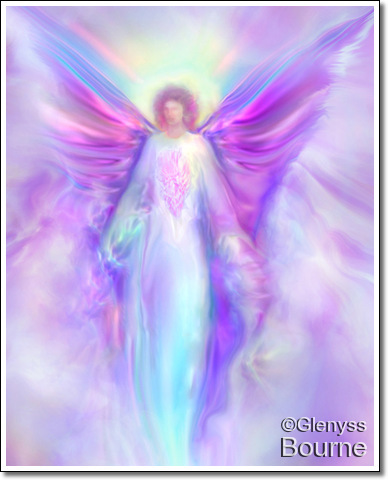 It features my Angel Paintings; and the Universal Healing Mantra, Om Namah Shivaya, which is an ancient Sanskrit mantra for physical, emotional and spiritual health and well being. Take five minutes to effortlessly enter the state of deep relaxation and feel the stress of everyday life melt away! Suitable for adults and children; and for those in despair or in need of healing. My security door ate my little finger on the hinged side of the door and slammed closed. My finger was trapped in there for way longer than I would have chosen, due to the fact I could not reach the handle to open the door. Attempts to pull my finger out, so to speak, were also tried tested and failed. I eventually got stretched enough to open the door and release my finger and I wrapped it in a frozen gel pack in the most incredible pain I have ever experienced, causing me to do an all night long ouch dance. My other half eventually took a look at it as I did not want to see. Claimed "oh wow it is flat as a pancake". I reikied it, and after swelling up like it would burst, not wanting to bend, a blue fingernail and losing feeling in it, I am happy to say - 8 days later it is better! I woke up from a ten hour surgery to repair damage to my bowel, with the most intense pain I have ever felt. I was given a morphine spinal block but something was very wrong! Even in that drugged state I was able to position my Reiki hands near the pain site and the pain subsided a little. When the anaethecist finally came, he adjusted the position of the fine tube delivering the morphine to the spine, as it had a slight kink in the line. At 3 o'clock the next morning I awoke again to terrible pain!- The epidural was not working and they could not get anyone to fix it until 8 O'clock, How could I survive five hours of pain this intense? The nurses gave me a Morphine injection but it did not help in fact it seemed to intensify the pain even more I placed my Reiki hands on myself and the pain again subsided a little. I was still beside myself with pain and in this terrified and agitated state I mentally called my husband who was one hour drive away sound asleep in bed. I mentally shouted that I needed his help immediately. One hour later he walked into my hospital room, it was 5 o'clock in the morning! I had awoken him out of a sound sleep with my mental shout, and he knew he had to rush in to see me. He put his Reiki hands above my abdomen and slowly and gently the pain went away-- yes it actually went away and I want back to sleep until the anaethecist arrived to adjust the epidural. We have retired from the farm and handed over the work to our kids. We were in a terrible drought and one night there was a cow down and my daughter went down on the motor bike to check it out. When she came back she said the cow was so bad it wasn't worth getting the vet. So I said to my husband that we had better go and see what we could do so he drove me down to the paddock to see them. I had learned REIKI recently and I just knew it would work well on animals. But I thought a cow is so big. How should I be able to do a whole cow? This cow was down with one eye in the mud. I decided to straddle the cow and put my hands around its lower neck to get my hands on its chest, where I figured all the vital organs should be. After about ten minutes she lifted her head and started moving her ears. I went on to do the other four sick cows. Next day all but one was up and well and went with the herd to the milking shed. We didn't milk them that session but they were ready for the next one. My son was very pleased with the results. 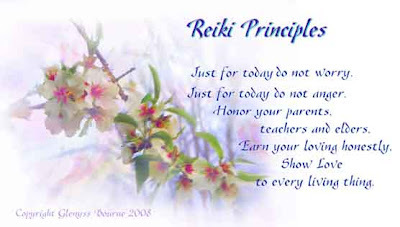 Please feel free to add your Reiki Story here or Email it to me or click comments below. 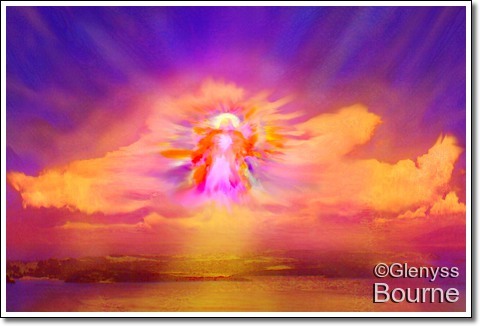 Copyright Glenyss Bourne 2008 all rights reserved. Creating Karuna or the cannons at work Compassion inside yourself opens you up to this positive vitality sent by the edified creatures yet additionally accelerates mending and encourages the person to end up plainly yet more merciful and cherishing karuna reiki .